Hi creatives, welcome to my happy place! 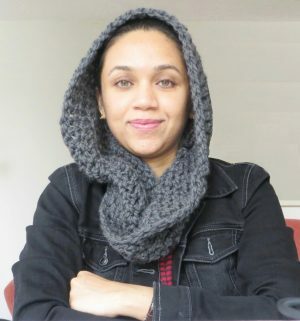 I am Shehnaaz, the blogger, designer, and dreamer behind the Crochet Dreamz blog. I live in scenic Wisconsin with my husband and daughter. Most of the time you can find me with a hook and a skein of yarn, or on the laptop editing my blog. In my spare time, I love to spend time with my daughter and listen to her endless chatter. I also enjoy reading articles on blogging, social media marketing, and healthy living. Your work is very inspiring and encourages me to reach out & fulfill my own “crochet dreams”-if I may say so with pure gratitude! Please continue to inspire those who are privileged to meet you through your “gift”-the Love you put into it is definitely felt! I cannot wait to purchase my favorite patterns from your collection-I am truly excited about it! Thank you for the beautiful patterns! You are truly an artist! I appreciate that you have put so much effort into your product with the step by step instructions, illustrations, and pictures. You have shown genuine regard for your customers and their success in these projects. I don’t like to use my card on the computer, but If your patterns were all in one place that I could have in a book, it would never be put down. Due to the nature of my husband’s job, I have lived the life of a nomad. As I moved between countries and cities, I always missed my family and lost all the friends I made. So the idea to start a crochet blog was a godsend. It was something that I could take with me anywhere. Moving to a new place came with its own challenges, so I loved the idea of having something stable in my life. I am someone who has always enjoyed crafting. I have dabbled in sewing, knitting, painting, and—last but not the least—crocheting. I first learned how to crochet in high school but let it go by the wayside for many years. When I took it up again in my 30’s, I posted some of my creations on a social media site and got rave reviews. That inspired me to start this blog and there was no looking back. I feel incredibly blessed to wake up to a job that feels like a hobby. The encouragement I receive from my blog readers and Facebook followers keeps me motivated. Thank you, everyone, I wouldn’t have come this far without you. Love and Peace to you all!